I love Lush a lot, I love everything that they stand for and also their products are amazing! they smell divine, they work and they do good for the planet so what is not to like about them? Lately my boyfriend and I have been more and more thinking about getting everyday products such as; beauty products and cleaning products that do not harm in any way the environment. 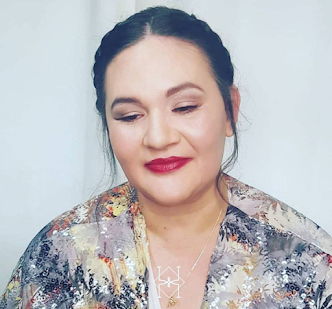 It is not an easy task but we are strongly thinking to no longer buy any bathroom products that contains paraffin, or any other derivative of petrol, plastic beads or harmful chemicals, and only start using biodegradable products. So obviously Lush is right now replacing, slowly but surely, all our bathroom products from shower gel, to shampoo to soap etc. I do know they don't come cheap but I rather buy a £10 shampoo knowing it will do no harm to our planet than a nasty £2 one full of non-biodegradable products. It's a life choice but I strongly believe that in the upcoming future it is something that all of us will have to do in the process to try to heal our very sick planet. But please do not go away this is not a post about environment issues but definitely about two gorgeous products that I lately got at Lush and that I am totally hook on. 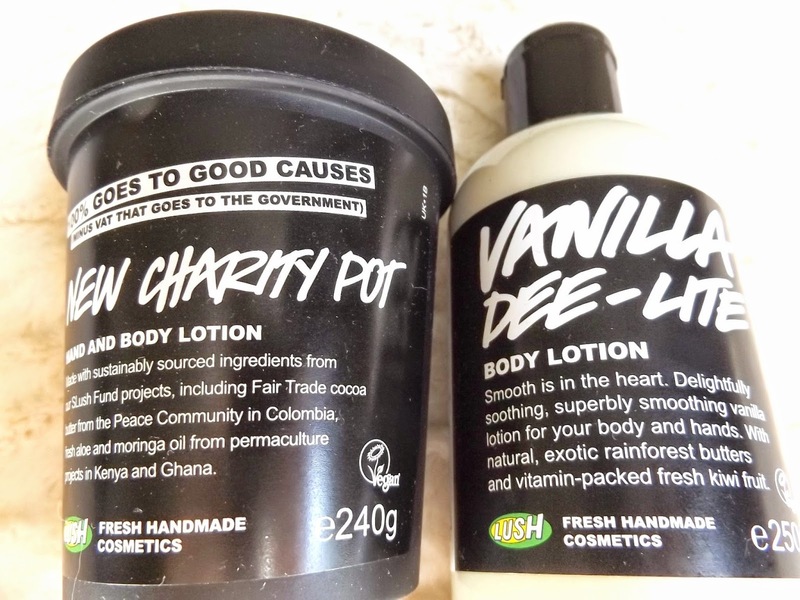 Those two beauties are: The Vanilla Dee Lite body lotion and the New Charity Pot hand and body lotion. Where shall I start? 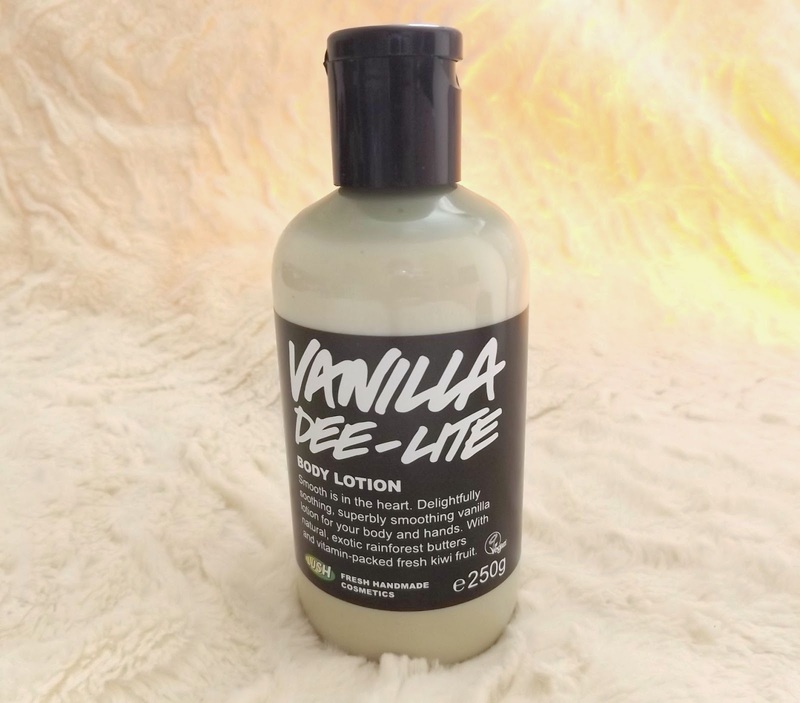 Lets start with Vanilla Dee Lite which is probably my 4th bottle (please follow this link for my Vanilla Dee Lite review from few months ago). This lotion is filled with Hibiscus infusion, Coconut water and oil, cocoa, vanilla extract, jasmine and many other lovely ingreadients. It is my all time body lotion favourite and to my shock, when I purchased this bottle, I found out that it was being discontinued by Lush. I wasn't a happy bunny, thinking it was probably my last bottle of this gorgeous product, but I am sure Lush are going to replace it with other products that I will surely happily try and probably love too. If you haven't tried Vanilla Dee Lite well, get it before its too late. 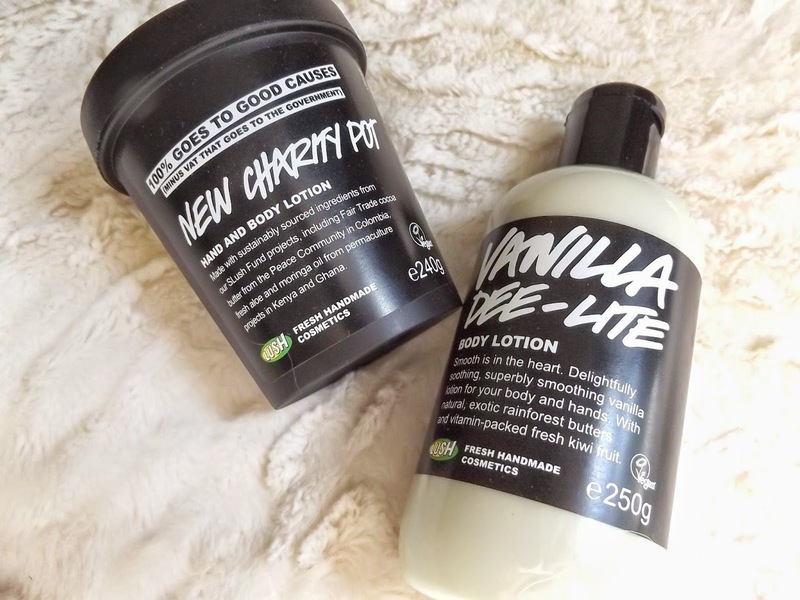 My second product purchased was the New Charity Pot hand & body lotion. It's my first buy of this product and I already tried it and already loving it! This product has been designed for charity and some of the cost goes to different charities. Mine is against the massacre of sharks for their fins (if you would like to know more about the Lush charity project please follow this link) a cause that I am strongly fighting against for many years. I love sharks, any other wild animals for that matter, I find these creatures totally mesmerising and if I can help them any way I will. So getting my hands on this lovely product was my way to say that I care. 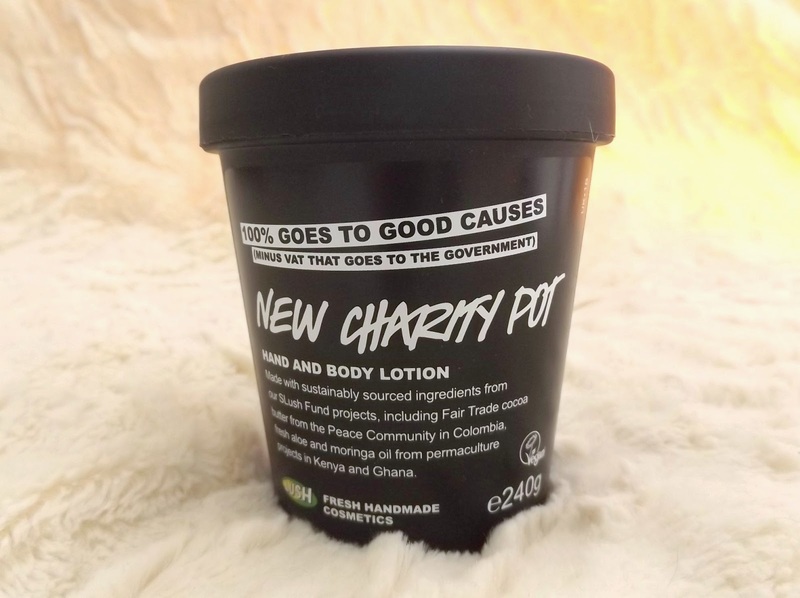 This New Charity Pot is filled with Jojoba oil, cocoa butter, Ylang Ylang oil, vanilla extract and many other goodies. 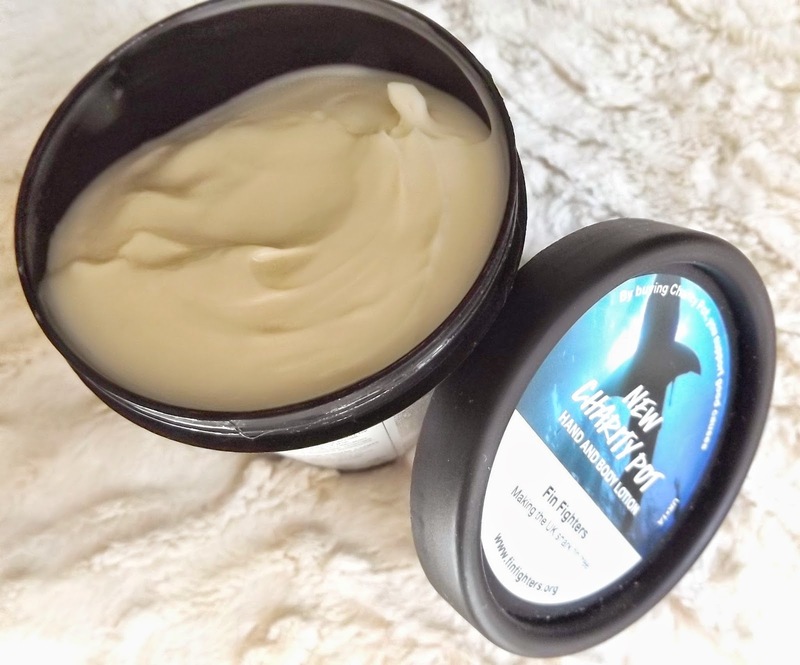 It's hard to describe the scent as I am rubbish at it but I suggested you check the Lush link (they are better than me on describing scent haha!!) . 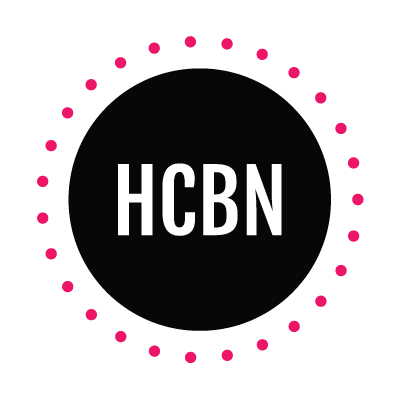 What do you think about the Lush charity project? Have you lately purchased some of their products? Please tell me all by commenting below.